Multitask like a pro with the Apple iPad 2017. 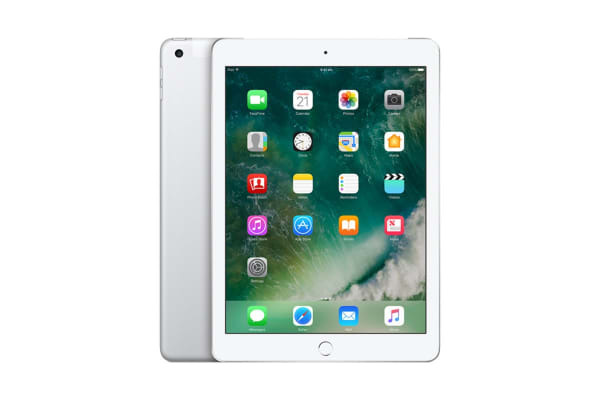 The 9.7” retina display and 2048 × 1536 resolution on the Apple iPad 2017 brings you an unbelievable picture clarity whether you’re browsing the net, viewing pictures, or watching videos. With a 64-bit A9 chip at its heart, the new Apple iPad 2017 performs faster than ever before. Add a battery life of 10 hours and what you have is a device that can handle demanding apps and graphic-intense games with ease, so you can play on and on! With its 8MP rear camera, the iPad 2017 gives you to the ability to film videos in 1080p HD and capture even fine details in pictures. Plus, you can edit them instantly with apps like iMovie from the app store! Choose from a million apps and multitask like a pro to work, play or learn! No matter what you want to do, the Apple iPad 2017 will leave you spellbound with its amazing display and performance.